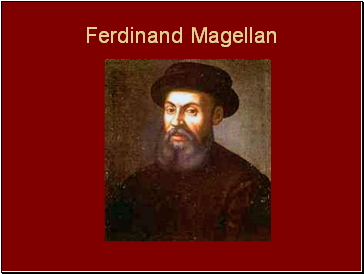 Ferdinand Magellan was a Portugese maritime (sea) explorer who sailed for the country of Spain (just like Columbus and Cortes). 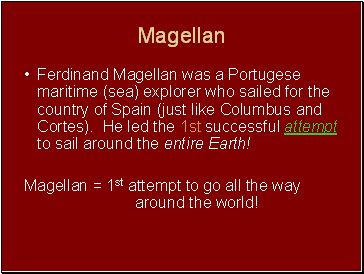 He led the 1st successful attempt to sail around the entire Earth! 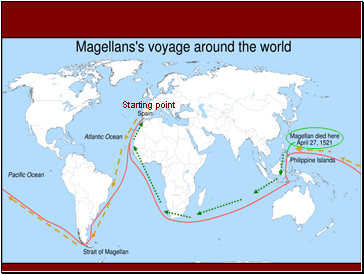 Magellan = 1st attempt to go all the way around the world! 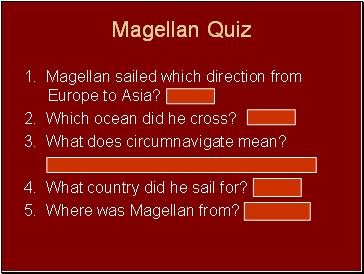 He became the first person to lead an expedition sailing westward from Europe to Asia and to cross the Pacific Ocean. 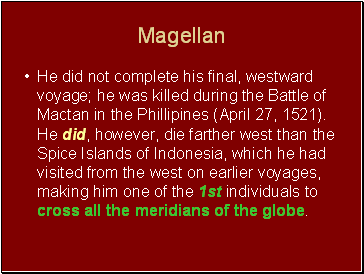 He did not complete his final, westward voyage; he was killed during the Battle of Mactan in the Phillipines (April 27, 1521). 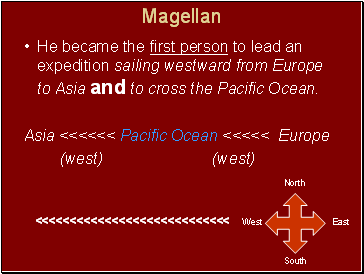 He did, however, die farther west than the Spice Islands of Indonesia, which he had visited from the west on earlier voyages, making him one of the 1st individuals to cross all the meridians of the globe. 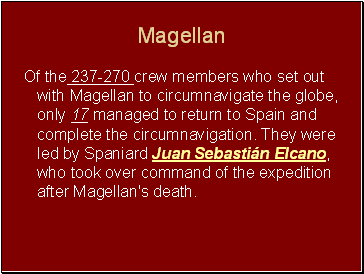 Of the 237-270 crew members who set out with Magellan to circumnavigate the globe, only 17 managed to return to Spain and complete the circumnavigation. 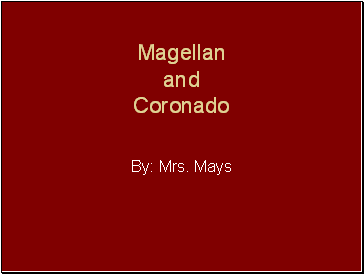 They were led by Spaniard Juan Sebastián Elcano, who took over command of the expedition after Magellan's death. 3. What does circumnavigate mean? To travel all the way around the world. 7. 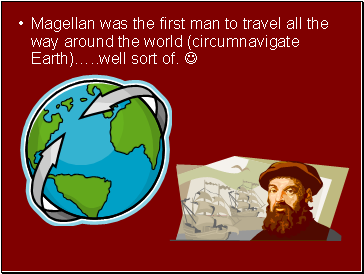 Why didn’t Magellan complete his trip? 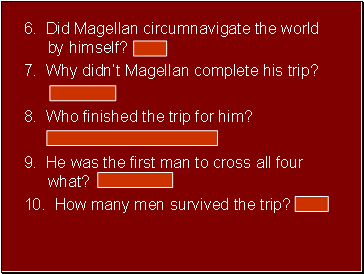 8. Who finished the trip for him?